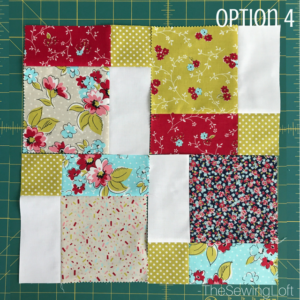 I love quick and simple quilt blocks but sometimes they can be boring. 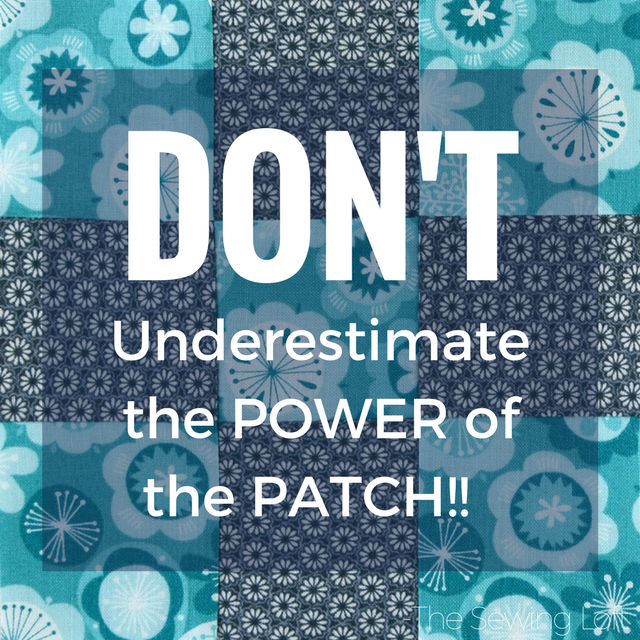 So, I want to show you the power of the patch…. 9 patch that is. 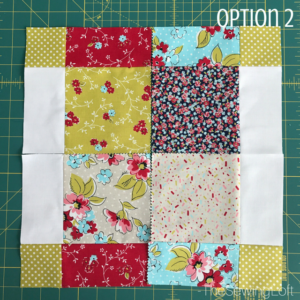 This simple patchwork block can be transformed into a disappearing 9 patch and look amazing. 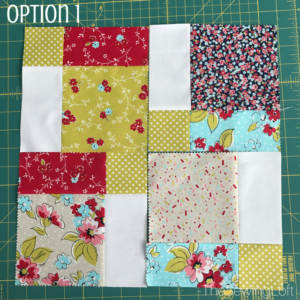 The 9 patch is considered a basic foundation block in quilting that can help your build your skills in so many ways. From keeping your lines straight, to nesting seams, this foundation block is one that you will want to master! 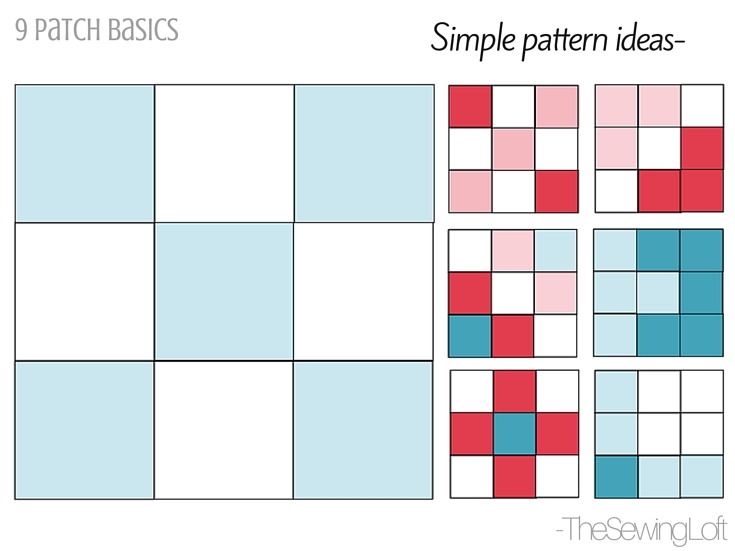 You can learn more tips and tricks on basic 9 patch block construction here along with a few simple pattern ideas. Disappearing blocks have always fascinated me so, now that we have the basics down, it’s time to give them a try. Follow full 9 patch tutorial here. 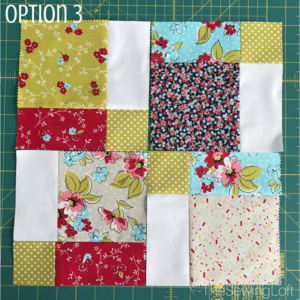 To create the amazing designs below with a disappearing 9 patch you must first cut up your block. I know, it’s hard but trust me, you will love the results! 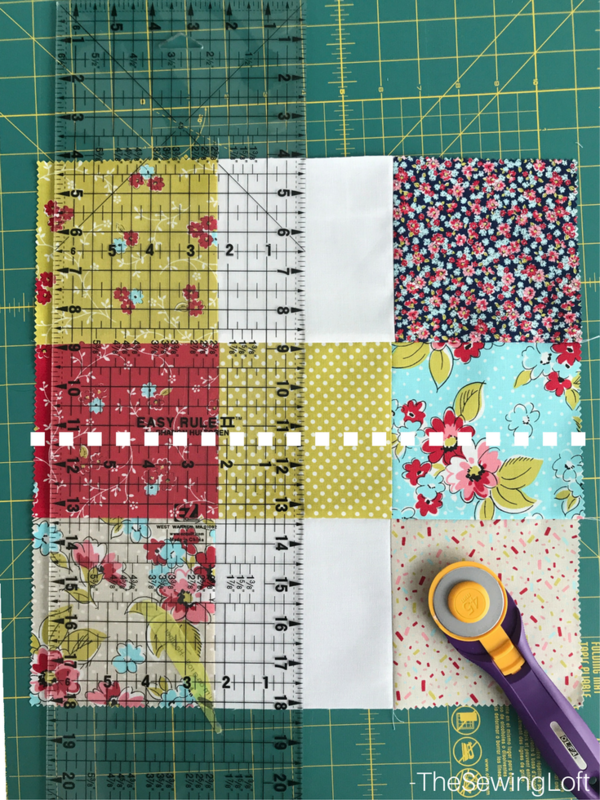 Using your rotary cutter, quilting ruler and self healing cutting mat; cut the quilt block down the center from top to bottom and side by side. Now it’s time to play! Simply turn each section to achieve the desired design you like. 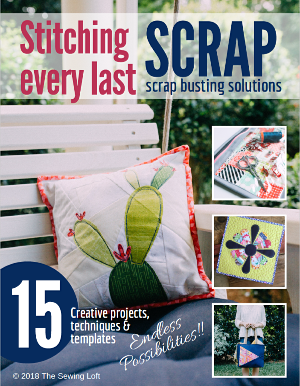 Here are a few examples of what can be made with one disappearing 9 patch quilt block. Really, I could go on and on showing you more options but you get the idea! Now that you know the tricks think of all the possibilities! 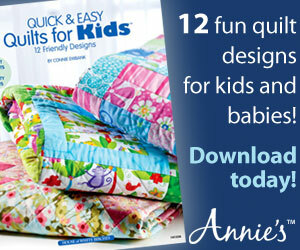 You can even streamline the process with pre cut bundles from your local quilt shop. **Blocks shown were made from Flower Shoppe pre cut charm pack.